Human Rights Watch is a nonprofit, nongovernmental human rights organization. Its staff consists of human rights professionals including country experts, lawyers, journalists, and academics of diverse backgrounds and nationalities. Established in 1978, Human Rights Watch is known for its accurate fact-finding, impartial reporting, effective use of media, and targeted advocacy, often in partnership with local human rights groups. Platon and The People's Portfolio have collaborated with Human Rights Watch on projects including human rights defenders from Burma, Russia, Egypt, and in the United States. Platon's work empowers survivors of human rights abuses to tell their stories and adds a poignant and inspiring visual dimension to our advocacy efforts. 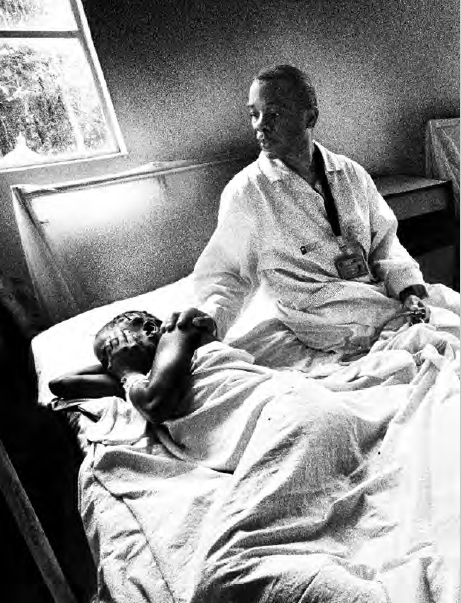 We at Physicians for Human Rights are proud to partner with The People's Portfolio to document the incredible network of doctors, nurses, police officers, lawyers, and judges who are combatting sexual violence in the Democratic Republic of the Congo. Platon is elevating their work and making sure the essential stories of these frontline human rights defenders are heard around the world. - Donna McKay, Executive Director. Since 1986, Physicians for Human Rights (PHR) has used medicine and science to document and call attention to mass atrocities and severe human rights violations. PHR was founded on the idea that physicians, scientists, and other health professionals possess unique skills that lend significant credibility to the investigation and documentation of human rights abuses. PHR's specialized expertise is used to advocate for persecuted health workers, document mass atrocities, and hold those who violate human rights accountable. In 1999, Dr. Denis Mukwege founded Panzi Hospital as a response to the devastating war that surrounded his community in the eastern provinces of the Democratic Republic of the Congo. The hospital now serves a population of 400,000 as the General Reference Hospital for the Ibanda Health Zone in the DRC, with a full range of health services. The US based Panzi Foundation makes strategic investments at Panzi Hospital and Panzi Foundation DRC to end violence against women and girls in the Congo and around the world. The United Nations Foundation links the UN’s work with others around the world, mobilizing the energy and expertise of business and non-governmental organizations to help the UN tackle issues including climate change, global health, peace and security, women's empowerment, poverty eradication, energy access, and U.S.-UN relations. OCHA is the part of the United Nations Secretariat responsible for bringing together humanitarian actors to ensure a coherent response to emergencies. The National Center for Civil and Human Rights is an innovative new cultural institution that opened in 2014 in Atlanta, dedicated to the history and real-life heroes of the civil and human rights movements. Along with Dr. Martin Luther King's papers, Platon’s life-size portraits are a centerpiece of the global human rights exhibit, and are a way for hundreds of thousands of schoolchildren and visitors to connect personally to the struggle for human rights. The entrance to the museum features Platon's 36-foot mural installation of human rights defenders.